The Design and Copy dance team: who’s the best one to lead? Added Value At Work! 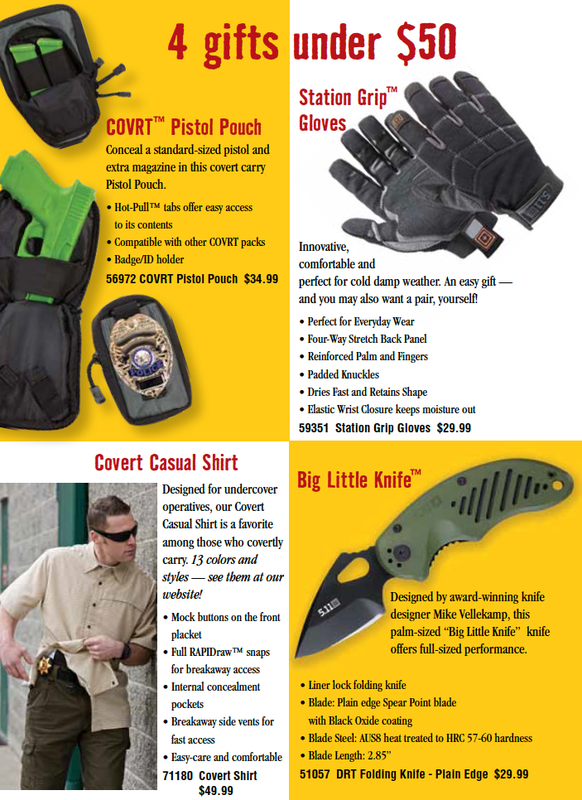 on this printed page, the sidebar about the Covert Collection has bulletpoints with explanations that make them sell harder. Yes, it takes up more room, but this mailer did enormously well to the customer list. They ended up taking that copy and making it value added copy, or content, on the web. Most online and printed catalog managers believe that the creative development of a catalog is based on design. So in most catalogs, designers take the lead in the creative process. This is an unfortunate assumption, because more often than not, it leads to copy being an afterthought. “Poor stepchild” copywriting really shows as such, in most catalogs. The result too often is the same old ‘product on a page’ routine, which we know from response numbers is not the best way to go. A designer alone doesn’t have the background or selling experience needed to make a catalog the strong seller it can be. Some of the world’s most effective ecommerce sites and catalogs are actually quite copy-driven, utilizing added-value content, strong headlines and powerful, well-directed copy. On the printed catalogs, it helps create a hierarchy on each spread. On an ecommerce site, it can make the difference between a dull nuts and bolts home page, vs. one that is lively and intriguing that keeps the customer in the site for much longer. 1. Work with a smart, strategic copywriter to look over the existing website and, if you have it, your catalog. Ask them whether they can envision a better way to sell a product or a group of products. Then, ask them to write a small feature that would make the whole group of products work harder, to sell more. 2. Create a headline for your ecommerce pages and catalog pages that will be caught quickly by search – benefit driven, product name, etc. This is what is often called the long ‘tail’ headline that has so much, you can’t miss when it comes to being found. 3. Try friendly instead of simply factual. Even in business to business, an everyman approach beats out the cold hard factual approach or ‘engineerspeak’ every time. That’s because your customers are human, not machines. 4. Bullet points are easy – but in fact copy leading to the bullet points gives a reader a reason to dig in and spend more time with your product. 5. Tell a story instead of telling facts. How did you discover this product? When did you realize this was something you, yourself could use? How did you work with the manufacturer to make it even better than ever? First person is a great way to sell if your writer is seasoned enough to write a good story. In all of these cases, the one taking the lead is the copywriter, and that lead will alter the design of the spread, in some cases, substantially. In a website, you can set this copy up to drill down easily to more and more facts. ON a printed catalog, you may lose a little selling space by making the copy less rudimentary. But here is the other bonus with a seasoned copywriter taking the lead: the better the writer, the more likely they are to be able to reduce the amount of copy by writing it more efficiently! So what space is lost by copy changes may come back to you in brisker, more to-the-point (but not cold and fact-only) copy. Keep in mind, shorter copy takes more time to write. Yes, you read that correctly. Even Mark Twain wrote to a friend (paraphrased) “I’m writing you a long letter today because I haven’t the time to write a short one.” If a master of words like Twain found short copy daunting, you can imagine it’s going to be a challenge for any writer. IN fact, the less seasoned the copywriter, the more naïve they’ll be about the work it takes to produce a good short copy block. In the long run, all the suggestions I’ve made here amount to the same thing: selling harder by using one of the most powerful tools in your reach – smart copy! So instead of making the copy an afterthought, team up your creatives earlier in the process and challenge them to, with both copy and design, make your catalog and ecommerce site really become selling powerhouses.